I do not believe you should shy away from new, even if the law school is unproven. But, there are risks. One risk is ABA accreditation. You hope the law school is provisionally approved by the ABA before you graduate. The law school is also unproven as to bar passage. So, there is a leap of faith involved. Law school cost a lot of money. Therefore, you want the degree to mean something. Now, I am not talking about rankings. I think that is fool-hearty stuff. If your objective is to practice law, then your objective is to get a good basic education, pass the bar in the state in which you want to practice, and get on with your real legal education -- the practice of law. The new schools do often offer those with lower LSAT scores a real opportunity to get in on the ground floor, so to speak, of a really good opportunity. New law schools, seeking ABA accreditation, have other fish to fry. They understand the risk to those they admit. Therefore, they do not often pretend to tackle or participate the rankings game, which artificially promotes higher LSAT scores. After all, there are graduates of colleges that demonstrate that they are good students, but they have difficulty on standardized testing such as the LSAT. That does not mean they will not prevail in law school. It does not mean they will not do well in the practice of law. Location is also an issue. Some new law schools are located in the area of the country in which you might wish to practice. If not the same state, then the same region. Some are located in parts of the country that offer a cheaper cost of living. That is vitally important these days. So, it is with some interest that I have looked at Lincoln Memorial University Duncan School of Law. Named in honor of Tennessee Congressman John James Duncan, Jr the school is located in Knoxville, Tennessee. There are somethings that greatly improve the odds of achieving with an LMU-DSOL law degree. First, DSOL has been approved by the Tennessee Board of Law Examiners. This means, if nothing else, you will be able to take the Tennessee bar exam upon graduation and practice in that state. Second, the law school is actively seeking ABA approval. Third, and related to above, LMU, with which DSOL is associated, is a well established university in the area. It also has the Debusk College of Osteopathic Medicine. So, it has experience in guiding a school through the national approval process. Fourth, it has already seated its inaugural class. This is what I mean by opportunity. Its median GPA was 3.05 and its median LSAT was 149. But, the main point is that the law school only had 243 applicants, it offered admission to 125 of those or 51.4%. You might wish to give LMU-DSOL a gander if you are looking for a centrally located law school, in a beautiful setting, with a lower cost of living and a good chance of achieving ABA approval before graduation. Oh come on. You work from home. Do not pretend that you shave and dress up in a business suit every doggone day. And, if you do, the question is why? We all need some down time. The beauty of working from home is that you get more down time than everybody else. When you work at home you can be a little less guarded. Maybe that is part of the joy of working at home. You do not have to please anybody but yourself most of the time. Sure, you have to clean up well when you go out of the house, but while at home it is all comfort without a commute. In fact, the term "carpet commute" describes the homey feel of it all. I have got to admit that I use to be a little embarrassed when the mail person or FedEx person came to the door. Not because I was obscene, but in my ease I can get a little raggedy. But, what I have found out is that these professionals are not necessarily over dressed themselves. Further, I think they might be just a little jealous. Home office clothes? Too often it is an old baggy pair of Dockers or shorts and an sloth-cloth. You know, an old t-shirt that you like to wear around the house. And, depending on the time of the year, I am usually barefoot, wearing white crew socks (with the gray toe and heal), or my old-man slippers (well, because the floors get cold in the winter). I am not saying that I go out of the house this way, unless it is a quick trip to the grocery store or the hardware store. If I am meeting with a client, I am at least semi-formal -- meaning a suit without a tie. Of course in Court I wear a suit and a tie. At home, it is all about comfort and I do not have to be self-conscious. I do not have to be anxious or artificial in any way. Nobody can see me over the phone or online. So, being just me, I do not have to feel contrived, or hammy, or studied, or Hollywood. My clothing often allows me to go from office work to manual labor of sorts. The other day, for example, I was working on pleadings, then I took a break, went to Home Depot, and came home, rolled on the ground, and replaced a sprinkler head I drove over previously. I washed up a little, and then I was back to the pleadings. (I know, I know, you are asking how much fun can one guy have)? I think it was Mark Twain who said, "The finest clothing made is a person's skin, but, of course, society demands something more than this." And, even at home, I wear a lot more than this. After all, some people should not be caught naked in the privacy of their own home, and I certainly fall into that category. So, on what do I base my home office fashion sense? As the late, great Gilda Radner said, " I base most of my fashion sense on what doesn't itch". For me that represents khakis and pocket tees. Now these are not my church clothes because I have come to learn that God prefers ironed, buttoned up shirts, with a collar, nice slacks and dress shoes. Go to church in your home office sloth-cloth and you are going straight to hell. Go to court in your sloth-cloth and you are going straight to jail. My point is dress appropriately for where you are, but in your home office it is okay to be a Raggedy Ann or Raggedy Andy. Enjoy the home office experience. I am not sure who I despise more. The people who design gaudy stuff (because they think it is artful) or the self-centered people who pay outrageous sums for this crap. Well, thanks to the wonderful people at Bling My Thing the Mac-niacs can now be chic. 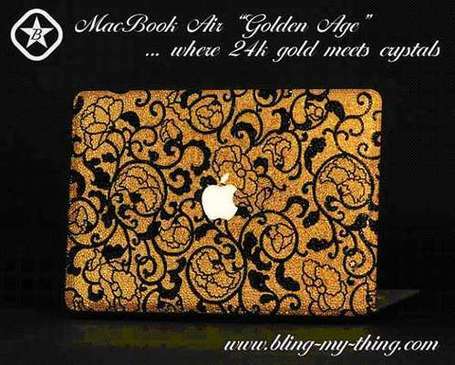 For a mere $39,750.00 US they can now own MacBook Air covered in 24 karate gold and crystals. This thing looks like cigarette case and matching purse my Mother bought at Woolworth's in the 60s. Almost for the price of public law school tution you can own this strange thing. Or instead, maybe you want to put down a sizable down payment on a house, or buy a new car, and just provide for your own retirement. Every time I see something like this I always wonder how many people could that money have helped? Tim Gunn, the creative director for Liz Claiborne, star Bravo's "Project Runway" and host of "Tim Gunn's Guide to Style" stopped by Conan to offer some fashion criticism about Hillary Clinton. In a recent Newsweek he broached the subject, suggesting Senator Clinton could learn from Nancy Pelosi's dress sense, which is fine to say. Lord knows that I am and many lawyers are fashion disasters. However, he went further on Conan saying, "I think she's confused about what her gender is. She's so mannish in her dress." How insulting is this, and it is important what these people say for the precise reason that female lawyers are forced to endure this same crappy scrutiny, whether verbally expressed or nonverbally manifested, from too many. This jerk is not just talking about Hilary, he is speaking down to most women who wear these business suits of sort to court every single day. After my last rant against the fashion police I was amused by the Daily Mail's article about the World's fashion editors not wearing what they tell us to wear. It talks about these people, who are surrounded by designers, being mostly stuck in design ruts of their own. 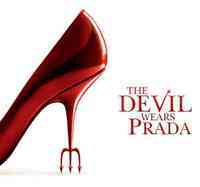 It reminds me of the recent film The Devil Wears Prada. The one point that was made in the article is that if you have a signature style you do not get swayed by all of the fashion. That is me. I have my signature Dockers and pocket tees (various colors). I call it "the look". My wife refers to it as "office clothes". "I Am A Raggedy Ann In A Barbie World"
My wife and I were visiting antique and gift shops in Brenham, Texas the other weekend and we saw a poster that exclaimed this. Although the wrong gender, I understood it and identified with it immediately. Now, I think of it again when I read Tom Kane's post "Dressing Professionaly is Smart Marketing". Lawyers should look like lawyers, it advocates. I agree. That is why I have been on the web trying to find a powdered wig and an appropriate robe. Apparently, my terrycloth bathrobe is not acceptable. Look, I do not necessarily disagree with Tom Kane. 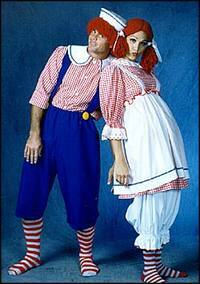 But, the tie and dress shirt business makes me feel like Raggedy Andy in a Ken doll kinda world. I dress for Court, sans the powered wig. Court's still have contempt as an option after all. However, I have got to admit I did not see much wrong with Vinny's leather and boots in the movie My Cousin Vinny. I meet most of my clients at the Courthouse and so I have on a suit when I meet them. Other times I will wear a sports jacket with no tie. For the office it is pure Dockers and pocket tees (I have to have a pocket for my glasses). Of course I live and work in greater Houston, Texas. Heat. Humidity. It is the only way to do it. I am not too sure that “vast majority of clients want lawyers who look like lawyers – crisp, polished, authoritative and professional.” I know it might please some big banks and insurance companies to know their lawyers dress in the proverbial $1,000.00 suit and comport themselves in a manner concomitant with their marble and mahogany offices, but I am not sure that common folk do not see their hard earned wages is that dress. I think your client want to know you are successful, but you should not make them believe they cannot afford to dress you. 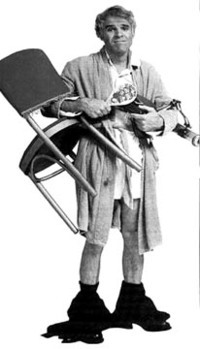 Of course, I am not recommending that attorneys or staff should be slobs. What I am saying is that I do not want to be the stereotypic Second Wave lawyer. I also do not want to be a Ken doll. To some degree I am more than happy with my Raggedy Andy appearance, especially at the office. I have often equated litigation like walking on a tight rope. It can be hazardous. But, after watching this video, I am thinking that it is a more like walking on slick runway in high heals in strange clothing. I have to admit, however, that it is more fun watching models walk on runways than to watch litigation in action. The Greatest American Lawyer goes after the Lawyernistas that want to impose work fashion on the profession, including us Third Wavers and carpet commuters. He points out rightly that many law firms mandate the wearing of suits (hence the reason we call them "the suits"). When you go to a bar meetings the Lawyernistas are wearing suits. GAL states that he has "concluded that lawyers are so stuck on the status quo, that they can’t even see beyond their own wardrobe. A suit to many lawyers is a validation of worth. A suit says, 'look at me, I’m a lawyer.' A suit is meant to intimidate. Having a nicer, more expensive suit than the other lawyer, puts you on top. Meeting with a client while wearing a suit immediately tells them how important you are. The right power tie can add an inch to your height and tell everyone that you are the most important person in the room". I am beginning to think that the suit is becoming the American equivalent of the powdered wig. In this day and age the requirement of wearing a powdered wig seem ridiculous to most people. Yet they are worn in court by the barristers of England. In fact, when the British government was contemplating allowing solicitors to merge practices with barristers, and allow solicitors to appear in court, I remember watching the barrister leading the opposition against allowing such a change on the news state that his government simply could not allow solicitors in court because they would not be allowed to wear the powdered wigs. Some years ago, then Bankruptcy Judge Massie Tillman of Ft. Worth, Texas made national news when he entered an order requiring all men appearing in his Court to wear suits and requiring all women to wear dresses and skirts (and no women-like business suits), supposedly subject to contempt if they did not. Nobody got into much of an uproar about men in suits (even though most debtors did not have suits), but, needless to say, in this Country it is never popular to tell a professional woman how to dress, and the powers that be were none to happy with Judge Tillman. As a result of public pressure he vacated the order. All of this begs the question, what do you wear? GAL tells us that outside of court he wears jeans and a collared shirt. As for me, around the office I most often wear Docker slacks and a pocket tee (I just need a pocket to keep things like my glasses). I am also known to not wear shoes around the house. On the rare occasion that I have to meet with another attorney or client outside of the courthouse, I switch my pocket tee for a collared shirt and I put on some shoes. Do not think that the image of you at home is not a concern for others. I participate in a lot of telephonic hearings in the various bankruptcy courts in Texas. It is no secret that I work from home. At a party I attended this became the subject of a conversation with one of the judges. He finally told me that the image of me participating in these hearings from my home did not bother him; it was the image he had of me participating in these hearings while sitting around in boxer shorts and fuzzy house slippers that did. My response was "what makes you assume that I wear anything", leaving the judge with a mental image I think he would rather not have. I agree that I am one of those unfortunate souls that should not be caught naked in the privacy of his own home, but judges should not talk for they get to wear robes, and we are not allowed to ask what they are wearing underneath those choir dresses. ("Judge, what are you wearing beneath that robe? Boxers, briefs or a thong"? Assuredly the bailiff will be taking you into custody).